Travelers planning to climb Mount Kilimanjaro frequently ask how long does it take to climb Mount Kilimanjaro? It takes between five days to nine days to complete but the other answer is, It depends on a number of different variables, not the least of which is which Kilimanjaro route you choose. But, there is another important thing to consider when answering this question as well – how badly do you want to get to the summit? Simply put, the more days you spend on the mountain acclimatizing, the better your chances of reaching the top. Climbers who spend only 5 days on Kilimanjaro have the lowest success rate, while those who spend 8 or 9 days trekking have a much better chance of standing on the Roof of Africa. Just how much of a difference do those extra few days make? The statistics are a little outdated now, but in 2006 Kilimanjaro National Park released estimates of the success rate based on the number of days spent on the mountain. At that time, only about 27% of those who opted for the 5 day trek were able to make it to the summit, while about 85% of trekkers who spent 8 days on their climb were successful. Those numbers have no doubt improved since then thanks to better guides, improved gear, and a better understanding of how to successfully hike the trail. But, they give you an indication of the importance of taking your time on the mountain. 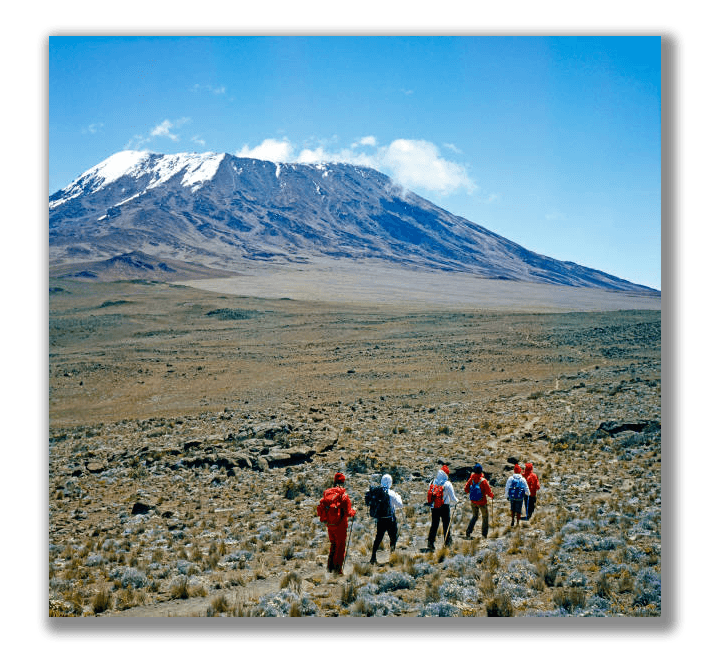 Each of the routes on Kilimanjaro also have a minimum number of days that are required to hike them as well. For instance, the Marangu Route requires as few as 5 days to reach the top, as does Umbwe Route. Meanwhile Machame Route, Rongai Route , and Lemosho Route take at least 6 days to complete the climb. Each of those routes have options for longer treks that improve acclimatization dramatically, making it much more likely that trekkers will become accustomed to the altitude and have an easier time in reaching the summit. Some trekkers only have a limited number of days available to make the trek, which is why many choose the 5 or 6 day options. Those who have a more flexible schedule are encouraged to consider a longer trek due to the increased success rate. You can climb Kilimanjaro in 5 or 6 days but is worth the Risk ? You can definitely climb Kilimanjaro in five or six days, We have asked so many clients about why they want to take chance it and we found out that, MOST clients want to minimize their days in order to save costs, which is an understandable reason, another reason we got is that they don’t have enough vacation time to do the climb for a longer period of time, and finally a few others said that’s they don’t want to spend too many days hiking. From years of experience and as mountain guides and trek organizers, We feel that the additional cost and added time is well worth it. Not only is it more safe, we have found that this strategy works best and has increased our clients’ summit success rate dramatically, Also clients have more time to enjoy the mountain experience, can take acclimatization hikes to other parts of the mountain you’d otherwise miss, and will probably feel better as well, given that there is less stress on your body in general because you will have time to take longer breaks. Questions to ask yourself: How would you feel if you scheduled a route with the minimum required days, only to have to turn around within the first couple days because the rate of ascent was too quick and you did not have time to acclimatize? Wouldn’t you rather have added a couple days to your trip to give yourself a better chance, to be more fair to your body? Were the ‘savings’ you got for not taking additional days worth the cost of cutting your climb short, not making it to summit, or even worse, putting your health at risk? We are all about helping our clients make the right decision because this is a once in a lifetime memorable experience and we want it to be worth it and enjoyable! !